Well…I expected this to be a generic show with a mediocre storyline but alas I have been proven wrong. The story starts off like any other Isekai anime, the main character dies in Modern Japan and then gets reincarnated in a fantasy world. However; there are elements that are new and interesting such as being the “grandson” of a famous sage and along with that being overwhelmingly powerful with magic. The presence of the demons is an interesting part of the story and will no doubt be an important aspect as the plot progresses. I really enjoy the designs of the demon and I’m curious about how the others will look! As you may have guessed, Shin, our protagonist, is most likely the strongest character in the whole cast. That being said overpowered characters only have two outcomes, great development, and dynamic stories, or boring character development and mediocre powers. The story could go either way as there isn’t much to go off of from just the first episode. The art and animation are decent, nothing that exactly blown me away just yet but maybe that just because we haven’t gotten into any serious fighting yet. The character designs are good and I can’t wait to see all of the other characters. 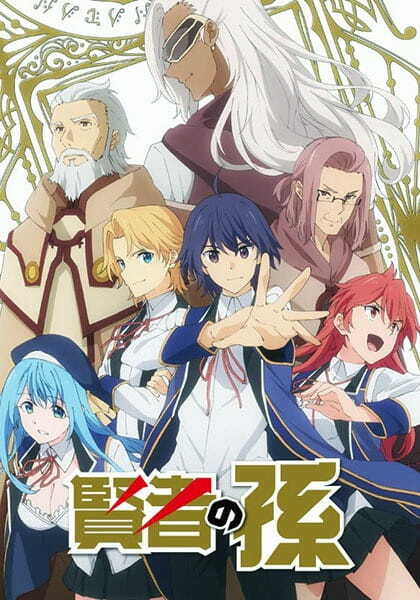 I’ve heard lots of good things about the light novel and the manga so I’m hoping that the anime will do it justice. Overpowering characters, when done well, can create a really good dynamic in a story, while others just make it feel like the story is being spoon fed to you. Here’s to hoping that Kenja no Mago is the former and not the latter.